The St. Regis Punta Mita Resort, Four Seasons Resort Punta Mita, Punta Mita Resorts and the Riviera Nayarit CVB will host an event that will unite some of the world’s top chefs, sommeliers and golfers at the exclusive golf courses of the Punta Mita Golf Club. The St. Regis Punta Mita Resort, Four Seasons Resort Punta Mita, Punta Mita Resorts and the Riviera Nayarit Convention and Visitors Bureau are proud to announce the fourth edition of the American Express Punta Mita Gourmet & Golf Classic. Hosted at Mexico’s most exclusive beach community, the event is co-sponsored by Aeroméxico and Delta Air Lines and will take place from April 3-6, 2014. It will also include an auction to benefit the Lorena Ochoa Foundation’s “To Help Is Possible” charity. These four days will once again transform the Riviera Nayarit’s Punta Mita area into a cultural mecca for cuisine and world-class golf thanks to the presence of famous chefs, renowned sommeliers and other epicurean personalities that will be on hand to demonstrate their exceptional talent. At the same time the participants will be competing in a two-day golf tournament, “The Punta Mita Cup,” to take place on the two Jack Nicklaus greens within the development: Punta Mita Pacífico and Bahía. The attendees will also enjoy a clinic held by Mexico’s top golfer, Lorena Ochoa. 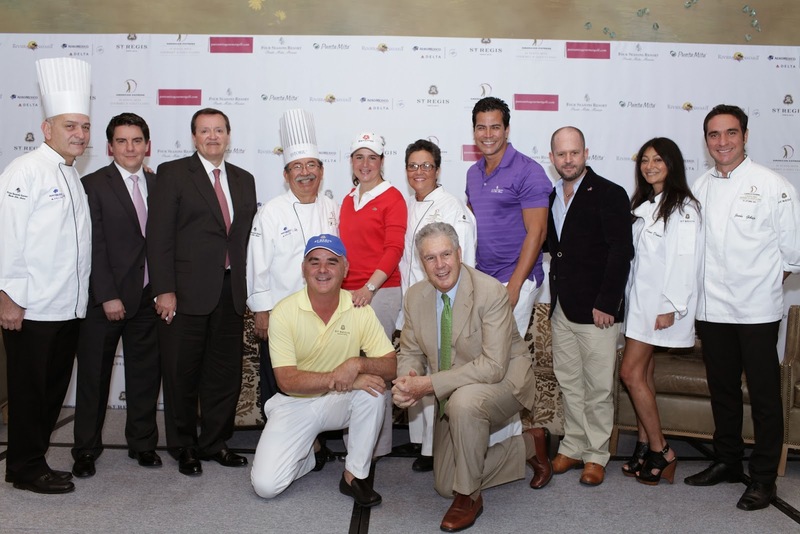 The American Express III Punta Mita Gourmet & Golf Classic was a big hit in 2013, with more than 400 participants and over $50,000 USD raised for the Lorena Ochoa Foundation. Marc Murphy, Managing Director of the Riviera Nayarit Convention and Visitors Bureau, pointed out the synergy between golf and gastronomy, both of which bring about multiple benefits to the region.